you MUST Re apply for the 2016 Speed week, last years letter will NOT be accepted. 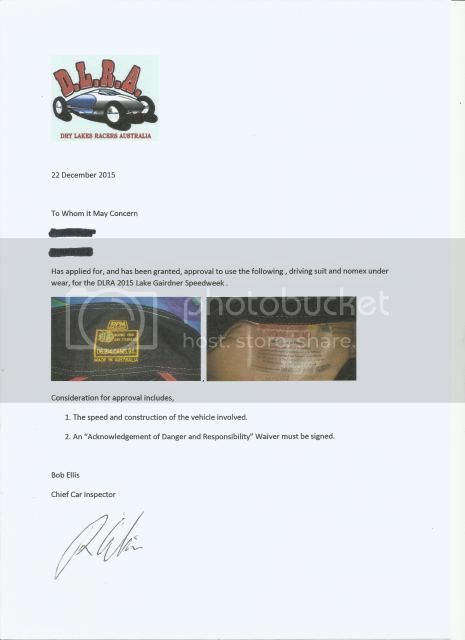 Chief Car Tech, at cambridgemotorsport@bigpond.com ,a copy of an approval will be sent to you. You must print it and present it with your log book at inspection.